Bull Spec Magazine is published in my home state of North Carolina, but that's not what makes Bull Spec cool. In this month's issue of Bull Spec, the fabulous J.P. Wickwire reviews Miserere: An Autumn Tale and interviews me (see? that's my name on the cover! ), but that's not what makes Bull Spec cool. 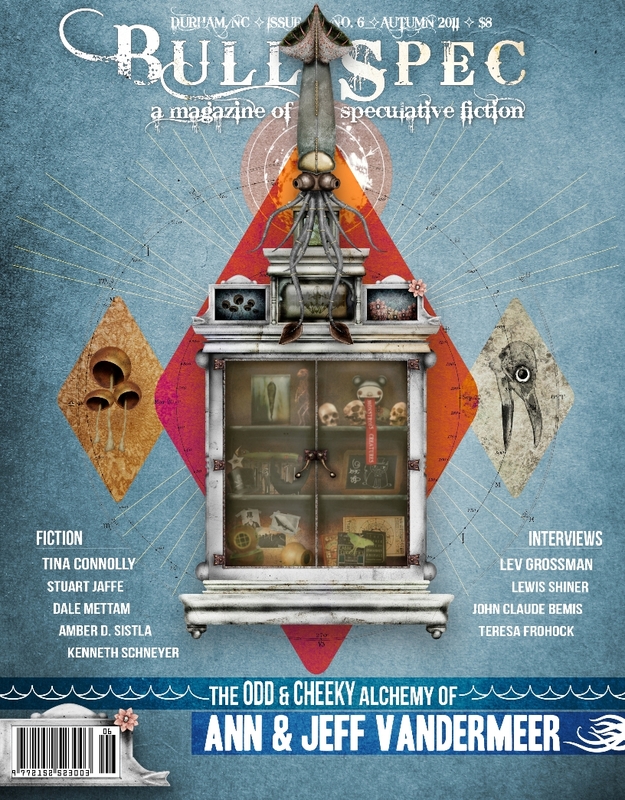 What makes Bull Spec cool is the breadth of the magazine's coverage of speculative fiction, the short stories, the graphic art and stories, and the authors and the books and DAMN! Bull Spec is cool because it's Bull Spec! In this month's issue: A fascinating look into the working relationship of Ann and Jeff VanderMeer; Lewis Shiner talks to Sam Montomery-Blinn about his novel Dark Tangos; there is a super interview with Lev Grossman and he talks about genre fiction and The Magician King; John Claude Bemis talks about his novel The Wolf Tree; and some newbie named Teresa Frohock talks about her novel Miserere.